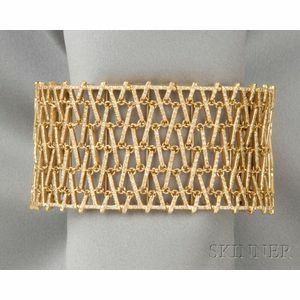 18kt Gold and Diamond Cuff Bracelet, the wide latticework cuff with pave-set diamond melee, 50.6 dwt, interior circ. 6 1/8 in. Melee does not go all around.